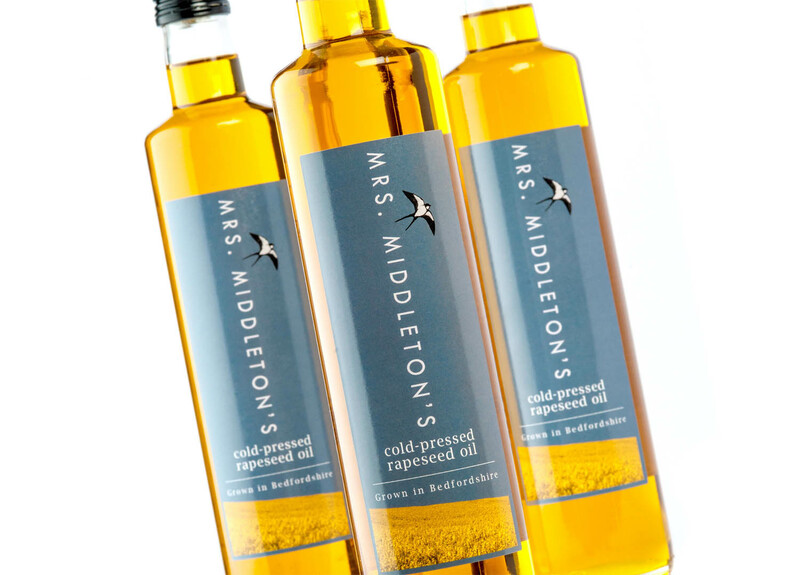 When Ellie Michell and Whizz Middleton approached us to create a label for their new cold-pressed rapeseed oil, one of their main requirements was to design something that "you would pick up because you'd want it on the side in your kitchen." We created a label design that we hope reflected this as well as the wildlife credentials of the family farm that grows the rapeseed. 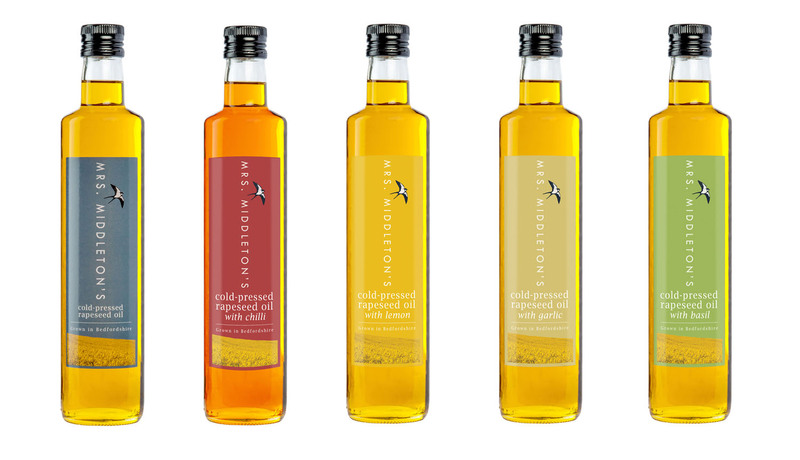 The range has since expanded to include flavoured oils and they now have over 60 stockists across the UK as well the oil being used by several Michelin starred chefs. Design Room have been invaluable to our brand. From the original concept they understood the brief perfectly and produced some beautiful initial designs. We asked for something that you would want to leave on the side in your kitchen, not hide away in a cupboard. 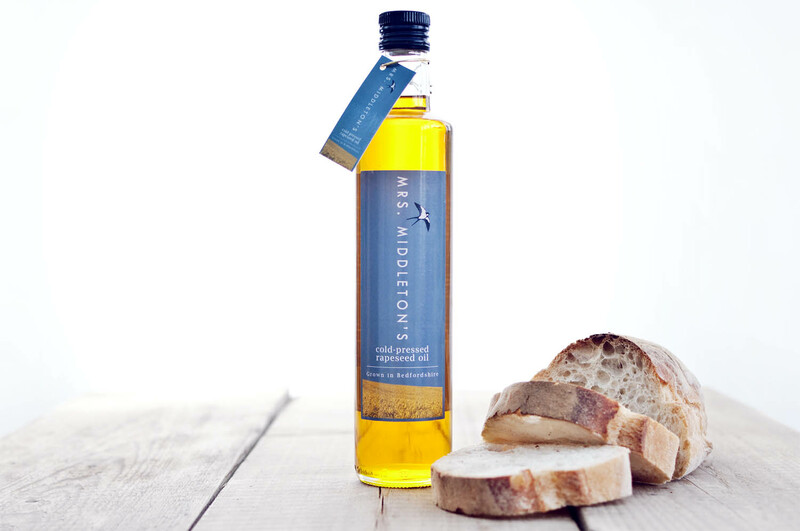 We wanted a label with a feminine twist in the bizarrely male dominated world of rapeseed oil, and DR delivered. We get so many compliments on our branding and we love it.